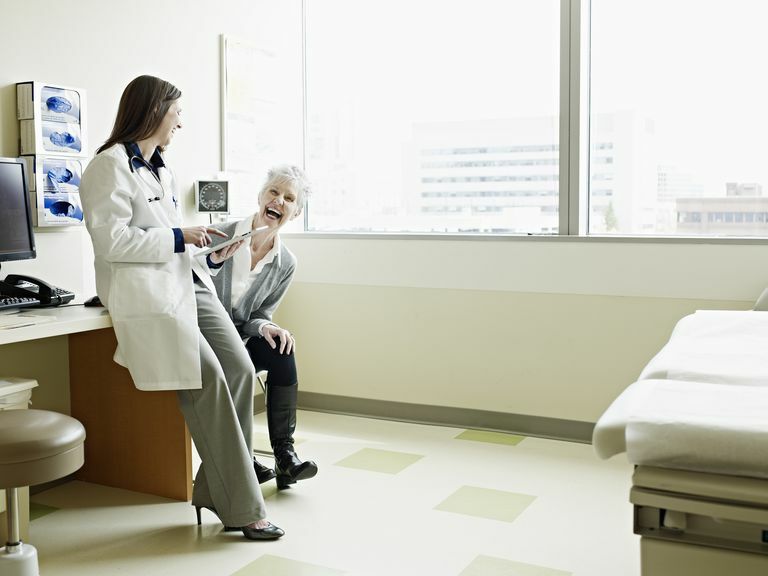 Recent research indicates that digital health is boosting the patient experience. Health information technology has been shown to increase the quality and safety of health interventions, as well as provide additional channels for doctor-patient communication. There has been a lot of progress in this area as digital health continues to be more intuitive and interactive. These advances are leading to reported patient satisfaction increases as well. Digital health tools are now also reaching our home and enabling better out-of-hospital care. We have become consumers who value convenience and accessibility, and often make our health-care choices based on these parameters. It appears that we are entering an era in which clinical competence alone is not sufficient to attract and retain patients. In 2016, almost 1.7 million people in the United States were diagnosed with cancer. An increase in patient numbers and higher treatment costs make delivery of high-quality cancer care challenging. This is one of the reasons the Cancer Moonshot Initiative was launched in 2016 by the Obama Administration. The initiative recognizes that incorporating innovative advances into cancer care can help improve the lives of those dealing with this illness. Funding for Moonshot projects and initiatives has been secured for seven years and in 2017, $300 million will be released as the first installment. A machine learning health-care system has previously been identified as a way to collect and share data and improve the quality of care. In 2012, the American Society for Clinical Oncology (ASCO) developed CancerLinQ, a system that is able to harness Big Data. It was first piloted on subjects with breast cancer and has since been expanded to other types of cancers. CancerLinQ is aimed at oncologists and helps them, as well as their patients, make more informed decisions. It collects and links data from different patients and gives users access to information that was previously locked away in isolated silos. The software analyzes patterns and trends, so oncologists can evaluate their patients against people with similar characteristics. The system provides real-time data and allows physicians to compare their care against guidelines, as well as choose the most appropriate, evidence-based course of treatment for each individual patient. CancerLinQ involves a continuous learning process and is predicted to be the future of American cancer care. ASCO points out that by using this system, doctors can learn about all patients, not just their own or those study in clinical trials. This makes their decisions more holistic and patient-centered. If the wisdom of the entire oncology community suddenly becomes accessible at every visit, patients are likely to have an improved treatment experience and feel reassured that they are receiving the best possible care. Worldwide adoption of wearable technologies is making the collection of large data sets increasingly possible. This will make it even easier for systems like CancerLinQ to compare and contrast patients, so doctors can provide the best possible tailored advice and feedback. At the beginning of June, CancerLinQ and the National Cancer Institute announced a partnership to support the exchange of information. Combining resources across the cancer community will likely improve patient care and outcomes. As cancer diagnostic and treatment move out of hospitals and into outpatient settings, collaborations between partners are becoming increasingly important. CancerLinQ is also partnering with the U.S. Food and Drug Administration (FDA) to examine newly-approved cancer treatments. Information obtained through their collaboration could inform future policies and decision-making. Social media provides patients with numerous opportunities for accessing and exchanging data. Online communities serving those with health conditions are another powerful tool that can connect doctors and patients in real-time. However, professional boundaries need to be strictly followed when exchanging ideas and perspectives on illness. Doctors and allied health care professionals can also use traditional social media, such as Facebook and Twitter, to educate patients and disseminate knowledge, as well as to invite people to participate in clinical trials. Respectable organizations such as the Mayo Clinic Centre, ASCO and Verywell.com receive a lot of “likes” on their pages and are fully committed to reaching out to people who seek up-to-date information. Facebook is known for providing users interested in health topics with regular content from sources they have "liked", where Twitter is used for more sporadic sharing of informational tidbits from those you "follow". There have been some significant shifts in the ways patients are approached and are involved in their care. It has been recognized that we want to be an integral part of a team when it comes to our health care, and we want to be perceived as autonomous decision-makers. There has also been a strong push to support people receiving in-home care, and prevent unnecessary hospitalizations that can result when chronic conditions are poorly managed. Digital technology has a lot to offer in this area of care, as demonstrated by the service eCaring. eCaring is a cloud-based disease management software that is empowering patients and helping them stay in their own homes. Data about clinical and behavioral characteristics is collected from patients living at home and transmitted to other caregivers. This means that real-time information gets shared and managed, making in-home care a lot safer as well as enhancing the patient’s experience. eCaring’s telehealth capabilities are supported by Samsung Galaxy Tablets, which are distributed to users when the program starts. The not-for-profit health insurance using this program has recorded improved customer satisfaction and improved care, for instance, a 40 percent reduction in hospital visits. In addition, with the use of eCaring, care teams became more satisfied, too. Home health aides reported they were able to provide better care for those they serve and felt more efficient in their role as well. Creators of eCaring have now announced another product that is aimed at people looking after their elderly parents. FamilyConnect is a new app designed to facilitate communication between family members. The app is easy to use and supports independence for seniors. It enables the aging-well to express their needs and ensures this population receives the care they need—giving everybody involved a peace of mind. In 2017, FamiliyConnect has launched a Kickstarter campaign to support their latest product. “Where is the patient’s chart?” is a question that will likely become obsolete as electronic health records (EHR) are more widely adopted. Patients do not enjoy having to repeatedly share the same information again and again. If multiple caregivers are able to access a person’s medical record electronically, from virtually anywhere that has Internet access, this can save time, save money and increase safety. Paper-based documentation is not always readily available, which can decrease the quality of care, in turn negatively influencing the patient’s experience. Furthermore, the Institute of Medicine reports that in the U.S., medical errors are the eighth leading cause of death. By accessing information electronically and combining disparate data sources, various risks can be managed better. To perform their work well, nurses and doctors require the right information at the right time. For example, it has been shown that integrating EHRs with nurse call systems and patient care applications improves overall care. ​Health technology manufacturers have been working for a while now on improving and expanding the capabilities of nurse call systems and making them more intuitive. Their efforts seemed to have paid off as improvements have recently been shown to boost patient satisfaction. David F. Smith, associate technology consultant with Sparling, explains that new features have been developed in nurse call systems, integrating and assimilating different areas of care. Systems now go beyond the old-fashioned, analog stand-alone systems. They can be used to integrate data and assimilate with EHRs, as well as include a discharge/transfer/admission functions. Moreover, these systems can connect to patient monitors, alarm and beds to ensure all notifications are received in a timely fashion. They also include patient-to-staff voice communication and allow patients to talk from their hospital beds to members of their care team who are using smartphones or wearable badges. Alarms and alerts can also be managed better, and nurses can even cancel calls remotely. Or, if the assigned caregiver cannot accept the call, it gets automatically routed to the next available person, ensuring the patient receives critical care and attention before it is too late. Health technology will ultimately transform the patient experience. However, digital health developers need to be mindful that innovation does not add more complexity into an already over-complex system. Technology should also not be viewed as a replacement for all human interactions. Health providers need to remember that sometimes simple and inexpensive gestures, such as smiling and giving regular updates, can go a long way. Practitioners still own the patient experience—for the foreseeable future, technology only plays a supporting role. Matthew Werder, the Chief Technology officer at Hennepin County Medical Center, points out that as research into the correlation between health technology and patient satisfaction is increasing, many questions remain unanswered. Werder gives some examples: Has the EHR really impacted the patient experience? Which technologies have the highest ROI? How can start-up companies measure and predict patient experience when developing new technologies? We can expect further studies into these types of questions will likely happen soon and will provide us with more insight into how health technology can continue to improve the patient experience. Fisch M, Chung A, Accordino M. Using Technology to Improve Cancer Care: Social Media, Wearables, and Electronic Health Records. American Society of Clinical Oncology Educational Book / ASCO. American Society of Clinical Oncology. Meeting [serial online]. 2016;35:200-208. Roham, M., Gabrielyan, A., Archer, N. Predicting the impact of hospital health information technology adoption on patient satisfaction. Artif Intell Med.2012; 56: 123-135. Werder M. Health information technology: A key ingredient of the patient experience. [serial online]. Patient experience journal, 2015; 2 (1): 143-147.